In October 2017, not long after Richard Spencer became U.S. Navy Secretary, he visited Icelandto learn how Russia was asserting dominance in a warming Arctic landscape. “There was Russia, lighting up five Cold War runways with 10,000 Spetsnaz for ‘search and rescue,’” he said, referring to an exercise that spanned nearly the entire Russian coastline and which some observers said could mimic an Iceland assault. 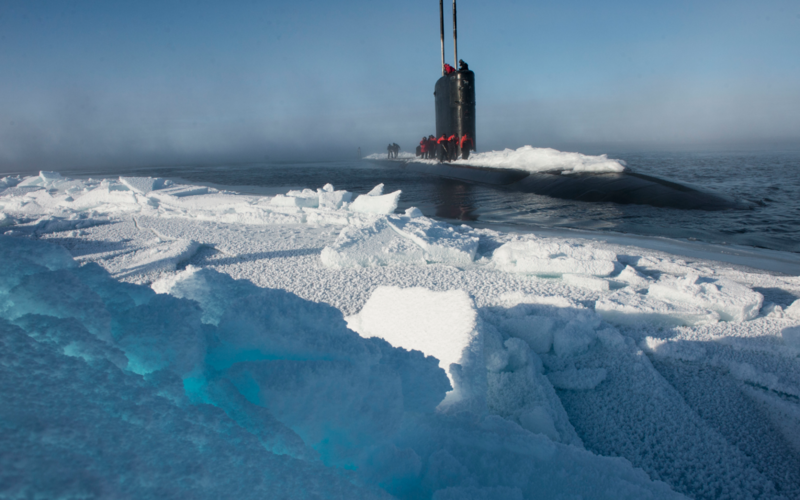 The U.S. Navy, he determined, had to be better prepared to operate in the Arctic. On Monday, Spencer told an audience at the Center for New American Security that he was talking with Chief Naval Officer Adm. John Richardson about “having some ships make the transit” — that is, the first journey from one ocean to another viaArctic waters by American surface warships. The Navy is already holding more Arctic exercises.NATO’s recent Trident Juncture took a U.S.aircraft carrier group above the Arctic Circle for the first time since the collapse of the Soviet Union. More than 600 Marines are also stationed in Norway, at Oslo’s request, as a hedge against Russian aggression.